Vin Diesel may be playing a talking tree in Marvel's upcoming Guardians of the Galaxy, but believe it or not he isn't the strangest character in the new sci-fi epic. Instead that honor belongs to Rocket Raccoon, a genetically modified animal who can both talk and has a deep love for explosions and firearms. Goofy as the character may seem, however, according to film star Chris Pratt he may actually end up being one of the most empathetic in the entire movie. 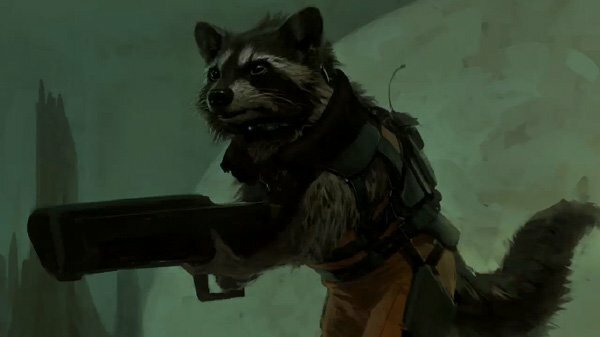 Access Hollywood caught up with the actor at a celebration for the upcoming 100th episode of Parks and Recreation and took the opportunity to ask him about Rocket Raccoon - who, as was previously announced, will be voiced by Bradley Cooper. "You think it’s a cartoon character, but it’s not; it’s a very real creature," Pratt said. "[He has been] tortured his whole life and no one else likes him, so he’s lonely and he’s angry and it’s like, [there are] all these elements [to the character]. You sort of forget about that, you wouldn’t think about, [and] hopefully will come to life. I think it will and that’s why they hired a really good actor to do the role." First created by Bill Mantlo and artist Keith Giffen back in the mid-70s and named for the song "Rocky Raccoon" by The Beatles, Rocket began his life as an ordinary raccoon who was genetically modified to have human level intelligence and walk on two legs. As Pratt mentioned, he has a bit of a surly attitude due to being the only one of his kind and having nobody to relate to, but he does grow a tight bond with Groot, the aforementioned talking tree and fellow member of the Guardians of the Galaxy. 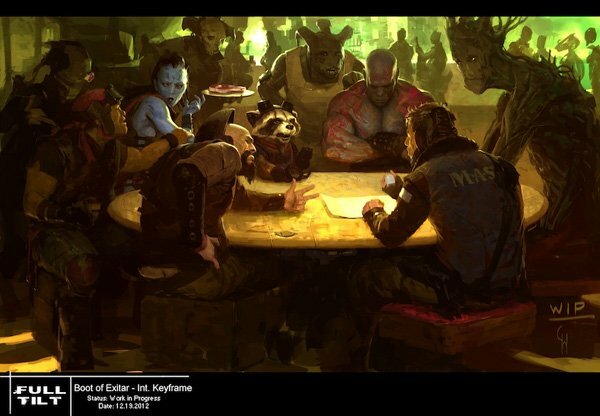 "I could not be more excited that Bradley Cooper is voicing Rocket Raccoon," Pratt continued. "It’s a great character. It’s probably the best character in the movie, just because it’s not what you would expect."